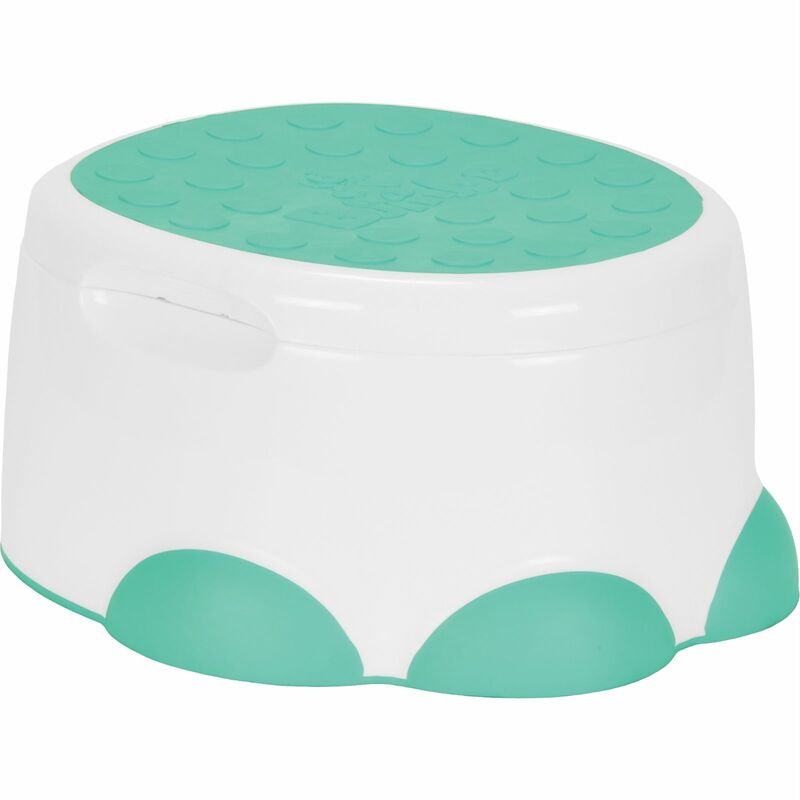 Converting effortlessly from a potty trainer to a toilet seat reducer and step stool, the Step ’N Potty from Bumbo is designed to guide your toddler through their toilet training trials and tribulations. 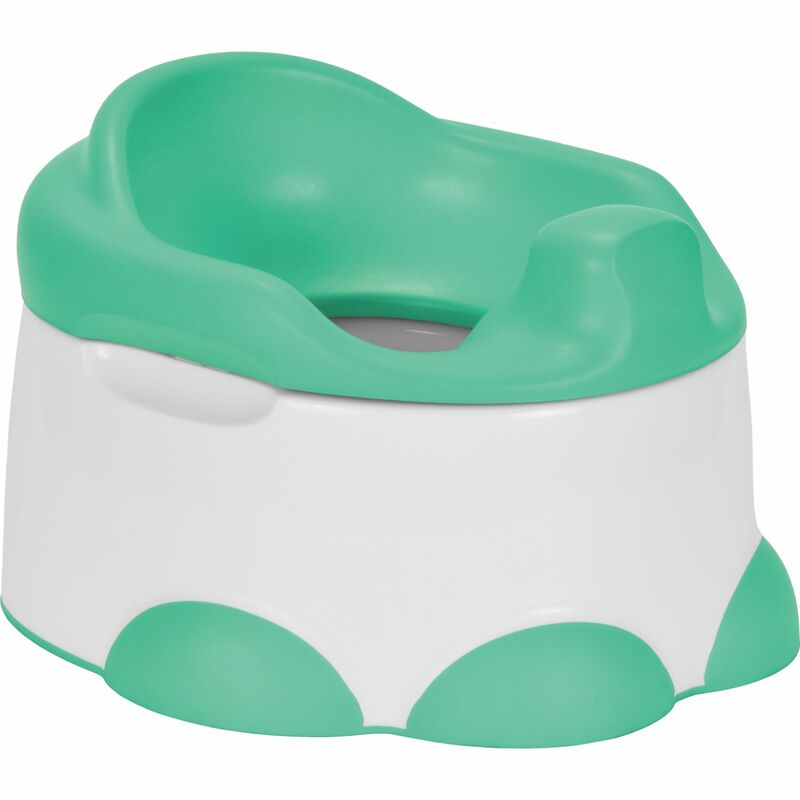 For use as a potty, the soft contoured seat allows your child to sit comfortably, and the reservoir lifts out easily for disposal. A wee-shield is moulded into the seat which is great for keeping your floors dry when dealing with little boys. When your child grows a bit bigger, you can remove the seat unit and use it as a toilet reducer which makes the ever-ominous ‘big toilet’ into a less daunting and much more inviting place. Simply place the reducer onto the existing toilet seat whenever your child want to use it. 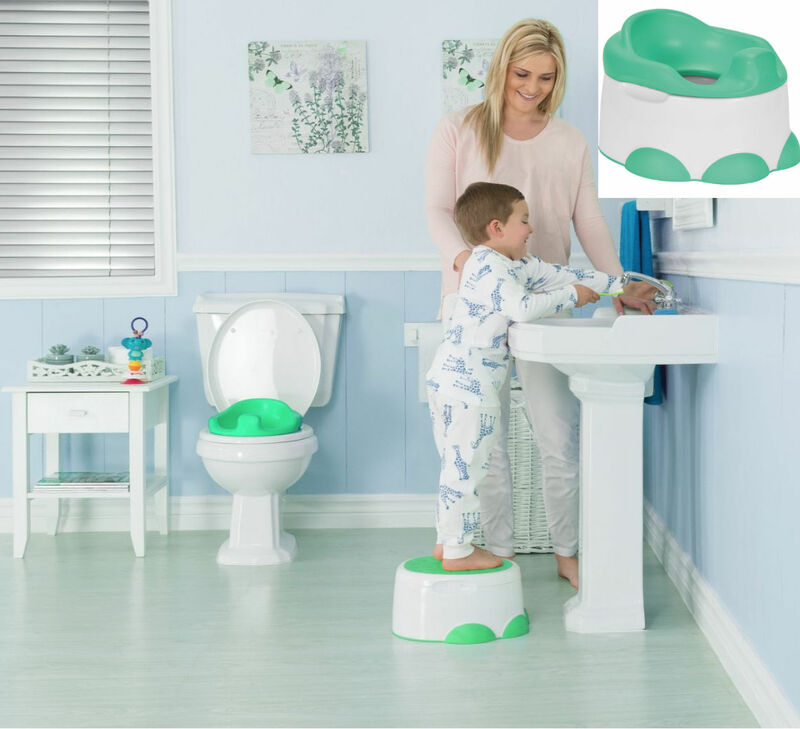 In this way, the size of the seat is made significantly smaller in order to provide your youngster with reassurance and confidence that they are not at risk of falling into the bowl. 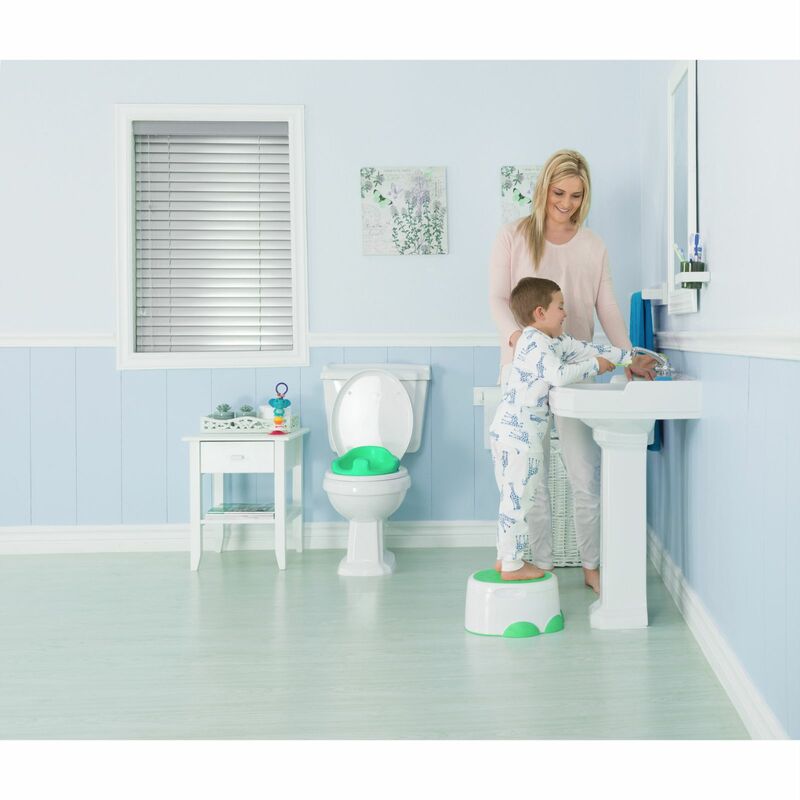 When being used as a toilet trainer reducer, the remaining components of the Step ’N Potty can be secured together and used as a step stool, which enables your child to climb safely to and from the toilet and also lets them gain more independence as they can reach the sink to wash their hands and also reach the light switch for nighttime calls of nature. Just as described. Good Price. Would use again.